Last summer I saw a picture of a wreath online and for the life of me I can’t find it again, boo… Someone had linked it up as a fourth of July wreath and I thought it was adorable. I remembered the general concept and altered it a bit to make a Christmas wreath. 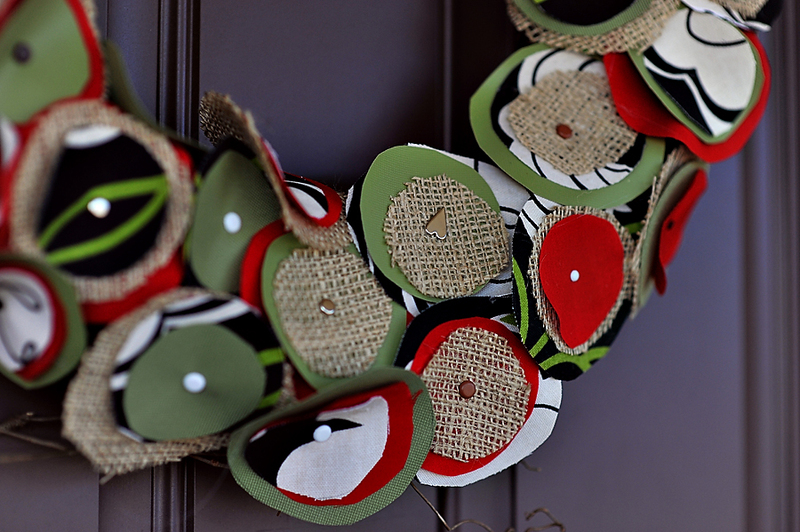 I started by buying a grapevine wreath at the craft store… For me, that was Walmart :). I then gathered up some fabric in holiday colors, burlap, and scrapbooking brads (notice the hearts left from a Valentines Day shower I hosted). I used measuring cups (one cup, half cup and fourth cup) to trace different circles from different fabric scraps. 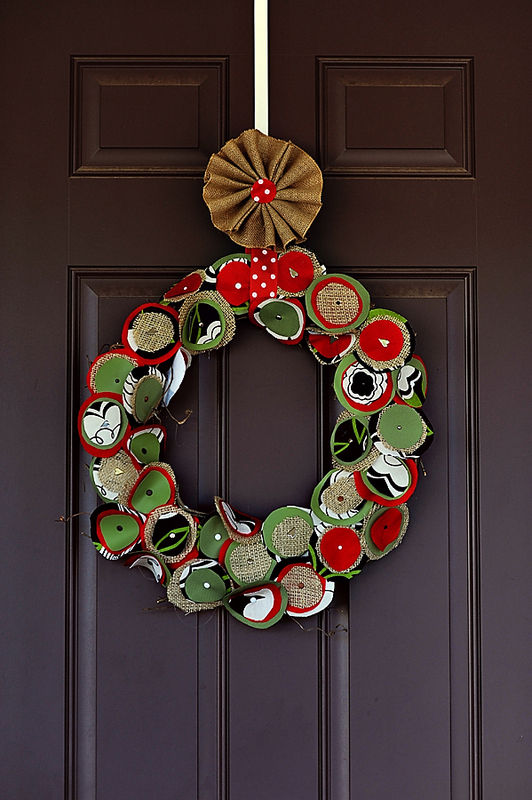 I used the metal brads to combine one circle of each size in different fabrics… I left the brads open in the back so they would stick into the wreath. I put a dash of hot glue on the pointy end of the brad and stuck it into the grapevine wreath… I continued this all over the wreath until it was mostly covered. I did not cover the back and even some spots on the sides are showing… That was just me being lazy and feeling it wasn’t needed. Obviously if you chose to do this it would look even better :)! You could do all sorts of variations on color, size, even shape… The burlap “flower” at the top is just made by fan folding the fabric and gluing it together. I just made a ribbon tie at the back and slipped it over my door hanger. I am not sure I really like it there, so I might move it. I always seem to change things up after I take the pic! This wreath took me about 2 hours to make and I think it’s fun and different. You could make one for each holiday :). 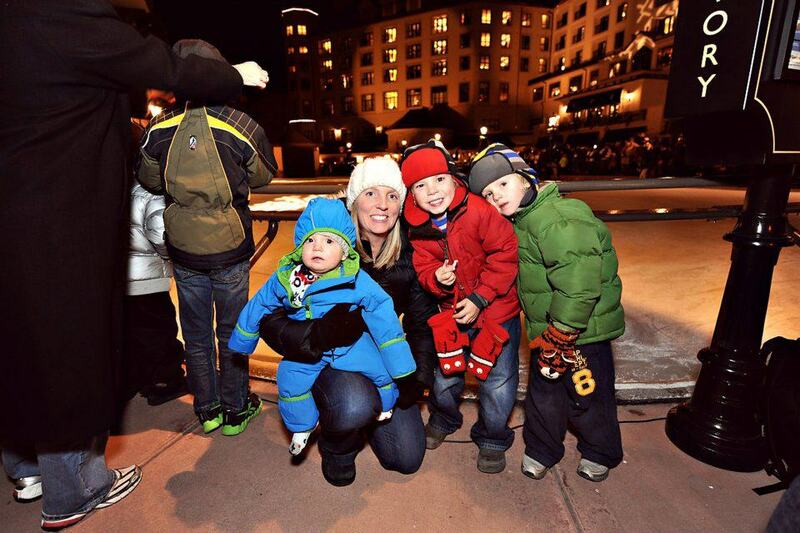 I hope you are starting to get in the holiday spirit around your house, I know we are!